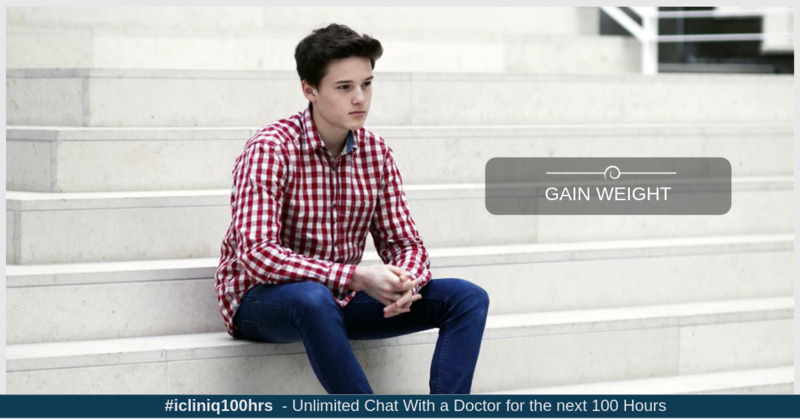 iCliniq › Ask a doctor online › Answers › Ayurveda Specialist › Gain Weight › I want to gain weight and make my muscles firm. Please help. Q. I want to gain weight and make my muscles firm. Please help. My height is 163 cm, and my weight is 52 kg. My body structure is also small, and my muscles are not firm. I want my muscles to get firm, and I want to gain weight. Please help. • Can I use some supplement to gain weight and build muscles? • I am 5 feet tall with underweight 40 kg. How can I gain weight? Weight should be proportional to the height, and this can be calculated with the help of BMI (body mass index). Normal BMI should be between 19.5 to 24.9. Your BMI is 19.62. So if you want to gain some weight, you can. Improve your dietary habits. Take equal amounts of protein, carbohydrate, and fats. You can also try ayurvedic granules named nutrigain for some time. Take one to two teaspoons of these granules with lukewarm milk two times a day for four weeks. Exercises will help in improving muscle strength. You can learn these exercises from a professional trainer. Try all these things regularly for one month, and you will feel positive results. I hope you find my answer helpful. For more queries, you can consult me. Thank you.